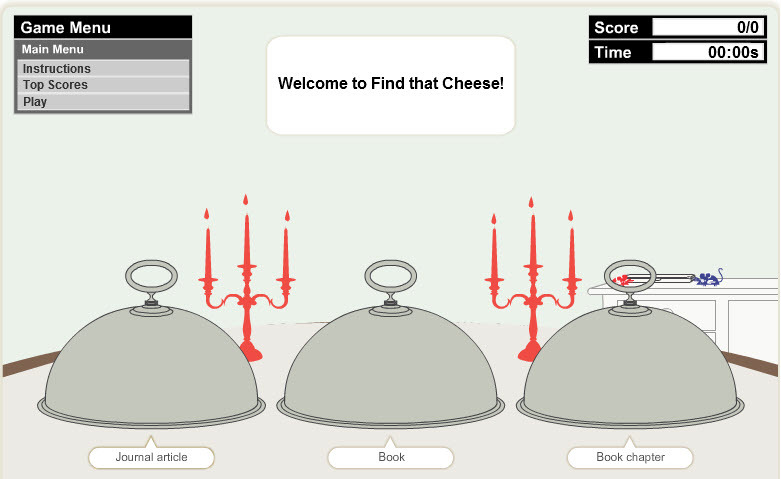 Try your information literacy skills on the University of Sydney Library’s Find that cheese game on the IOE LibGuide — Finding Resources in the Library. This library creation is designed to help you identify items on your reading lists in order to help you find them. However, be warned ….. the game is habit forming. This entry was posted in Library and Archives and tagged book chapter, finding, game, journals, reading lists. Bookmark the permalink.